This week Dispatches from the Field welcomes Matthew P. Bettelheim, an editor of the new book The Wildlife Confessional: An Anthology of Stories to share with us how he came up with the idea to put this together. It sounds like we fit right in! Check out the end of the post for ways to pre-order the book. 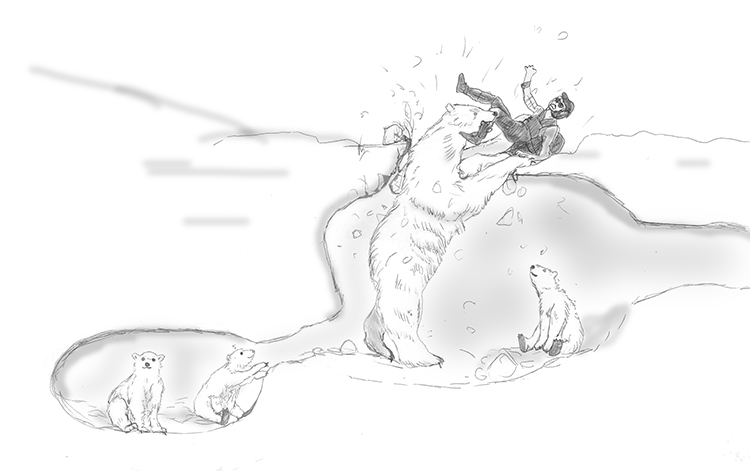 So begins “Kick it in the Ice Hole,” the adventures of a bear biologist that recounts how learning to catch a polar bear launched Jonkel’s storied career. This is just one of the tales that make up The Wildlife Society’s new anthology, The Wildlife Confessional, a collection of fifteen stories by thirteen biologists, including published authors Marcy Cottrell Houle (Wings for my Flight, One City’s Wilderness, The Prairie Keepers) and J. Drew Lanham (The Home Place: Memoirs of a Colored Man’s Love Affair with Nature. In short, it is a collection of biologists’ adventures, misadventures, revelations, reflections, mishaps, and pivotal experiences with wildlife. The Wildlife Confessional was first conceived many moons ago, long before 2014 when I began exchanging emails with co-editor Thomas A. Roberts about an idea I had for an anthology. My first introduction to Tom was more than ten years earlier when my editor loaned me a copy of Tom’s very own anthology, Painting the Cows. 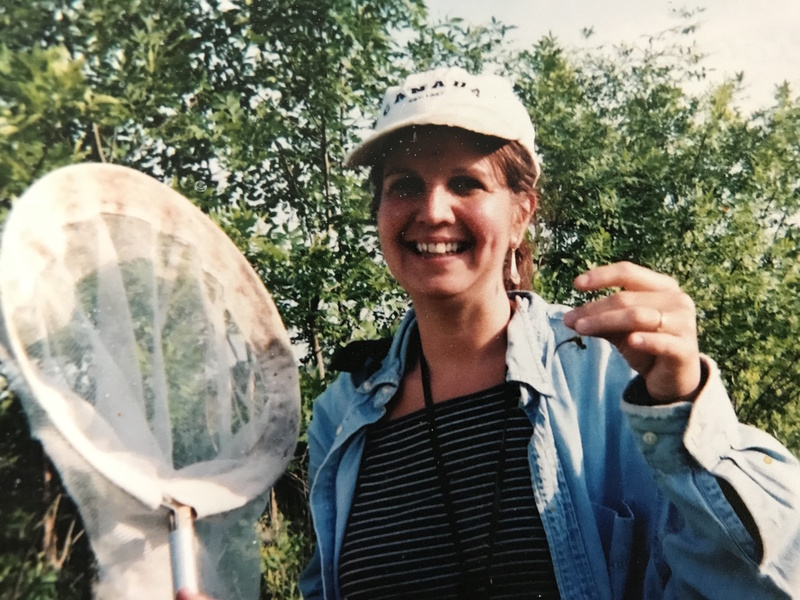 At that time, I had just joined the ranks of an elite group of scientists known as “wildlife biologists” and was interning at Bay Nature magazine, so a collection of stories about wildlife biology seemed a natural fit. It was. In love instantly with Tom’s brand of self-effacing honesty and insight, I hungrily devoured Painting the Cows and its companion anthology, Adventures in Conservation, and then loaned my copies out to friends and colleagues until one day I realized my books hadn’t found their ways home. In 2005 I lucked into Tom’s email address and reached out to him about meeting for drinks – hopeful I might be able to meet another local writer/wildlife biologist – but because it it too easy to get swept up in the current of everyday life, we never made it happen. And then, during a happy hour for our local San Francisco Bay Area Chapter of The Wildlife Society in the fall of 2007, I heard someone mention “Tom Roberts” and realized that Tom Roberts, the Tom Roberts, was sitting at the next table over. So I did what any normal person might do when faced with a “celebrity crush” and rushed over to introduce myself and heap praise on his work, coming across no doubt as a babbling fool in the process. By the time all the pieces began falling in place in 2014 to plant the seed for this anthology, Tom Roberts seemed the natural person to reach out to as a co-collaborator. And so The Wildlife Confessional was born. Together, we waded through more than 45 submissions to carefully curate The Wildlife Society’s first anthology, a true window into the wildlife profession. 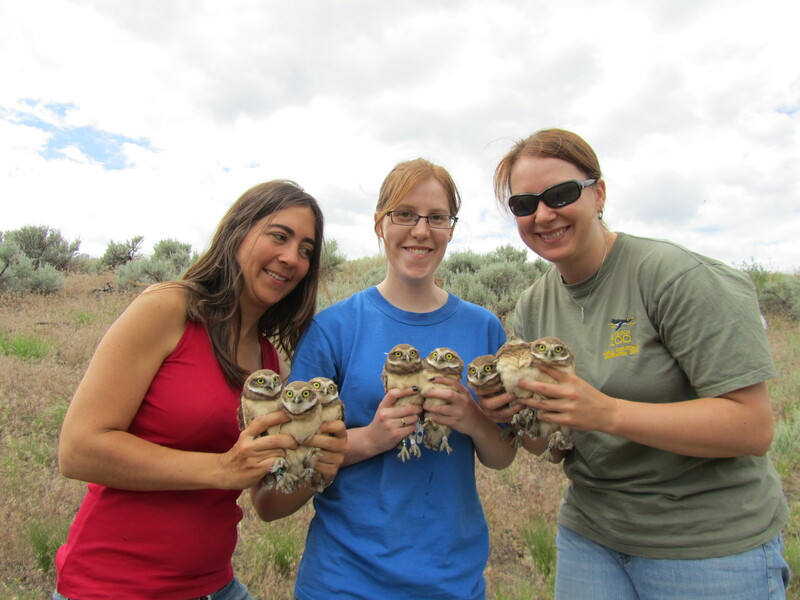 This is a career peopled by wildlife biologists, game wardens, land managers, researchers, students, and the community of peers who have built their careers (and sometimes, their lives) around working with wildlife. Members of the biologist community may specialize in a certain group of wildlife – like entomologists (insects), ichthyologists (fish), ornithologists (birds), herpetologists (reptiles and amphibians), and mammalogists (mammals) – or practice their “–ology” on a larger scale – like law enforcement, policy, habitat restoration, resource management, research, outreach and education – but they share in common a passion for wildlife and the outdoors, and a learned (resigned?) 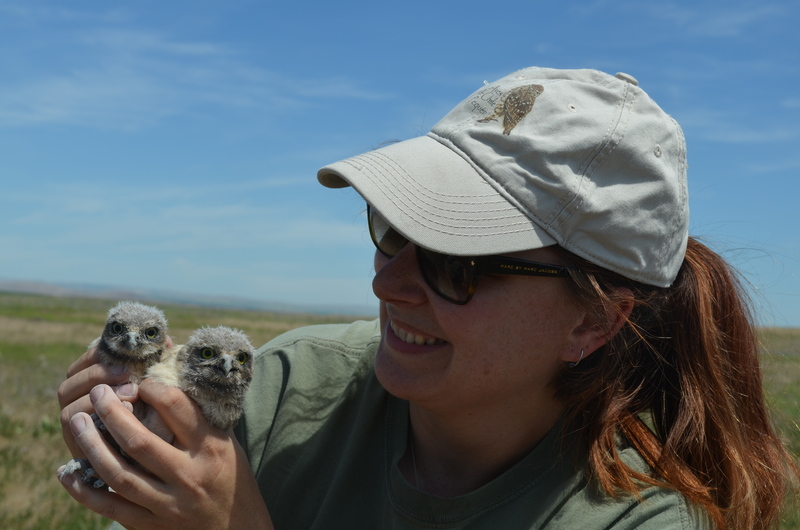 resiliency to the pitfalls and mishaps inherent in a career that revolves around wildlife. The authors whose stories we’ve collected represent men and women from all walks of wildlife biology – State and Federal biologists, consultants, students, professors, interns – and take place across North and Central America, from the Gulf of Alaska to San Ignacio, Belize, from the tropics of the Hawaiian Islands to the deserts of Arizona, and in the desert springs, coastal bluffs, national parks, stock ponds, pick-up trucks, traplines, doctor’s offices, roof tops, outhouses, and bombing ranges scattered everywhere in between. To bring the stories behind The Wildlife Confessional to life, anthology contributor Ivan Parr (“A Terrible Bird is the Pelican”) – who is also gainfully employed as a wildlife biologist, botanist, and nature photographer – put pen to paper a second time. But this time around, Ivan set out to create the lighthearted illustrations that accompany each story. If a picture is worth a thousand words, Ivan’s art speaks volumes about the wildlife profession and the adventures wildlife biologists face every day. 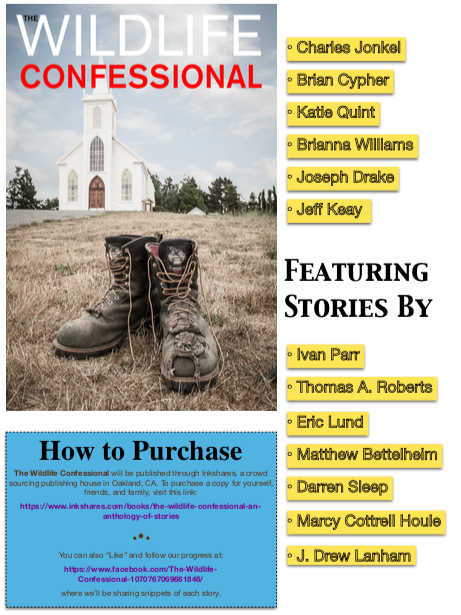 In early January 2018, the print-side of the project launched through the crowd-source publisher Inkshares (https://www.inkshares.com/books/the-wildlife-confessional-an-anthology-of-stories) and was successfully funded at the end of February after pre-selling over 250 copies. Today, with over 300 copies sold, the book is still available for pre-order (eBook: $6.99 / Paperback: $14.99) as we navigate the final stages of layout, design, and publishing before the anthology goes to print. In The Pirate Kit Fox, kit fox expert Brian Cypher recounts the one that got away – a kit fox so formidable and cantankerous, it nearly brought a grown man to tears. On an island, no one can hear you scream; so we learn the hard way in The Long Drop, in which Eric Lund must get his hands dirty while stationed on Laysan Island after a gray-backed tern finds itself doing laps in the loo. Islands can also be a place of reflection, as we experience through the eyes of Brianna Williams in The Tower Colony during her turn working with breeding seabirds in an abandoned Air Force station radar tower. In Lost and Found, J. Drew Lanham looks back on the formative years that shaped his inevitable career as a birder, a path especially rocky for a young African American growing up in South Carolina in the 1970’s. In The Big Horn Sheep De-Watering Device, veteran author and wildlife biologist Thomas A. Roberts makes a beginner’s mistake and pays for it when a four-and-a-half foot long pipe wrench becomes his cross to bear in a trek across the desert. 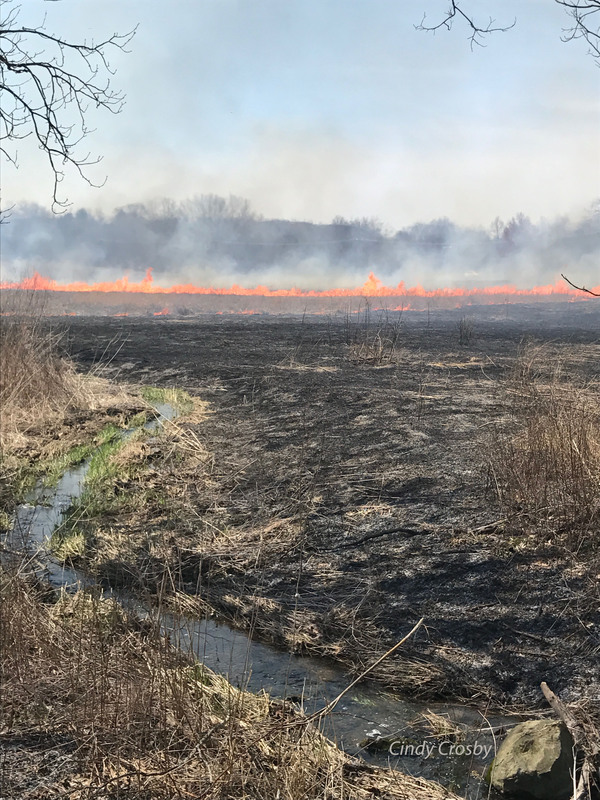 This week, Dispatches from the Field is excited to welcome back another familiar guest blogger: Kim Stephens, a graduate of Queen’s University who now works for the Oak Ridges Moraine Land Trust. Kim shares with us the importance of citizen science and some of the many opportunities for citizen scientists to get out in the field! 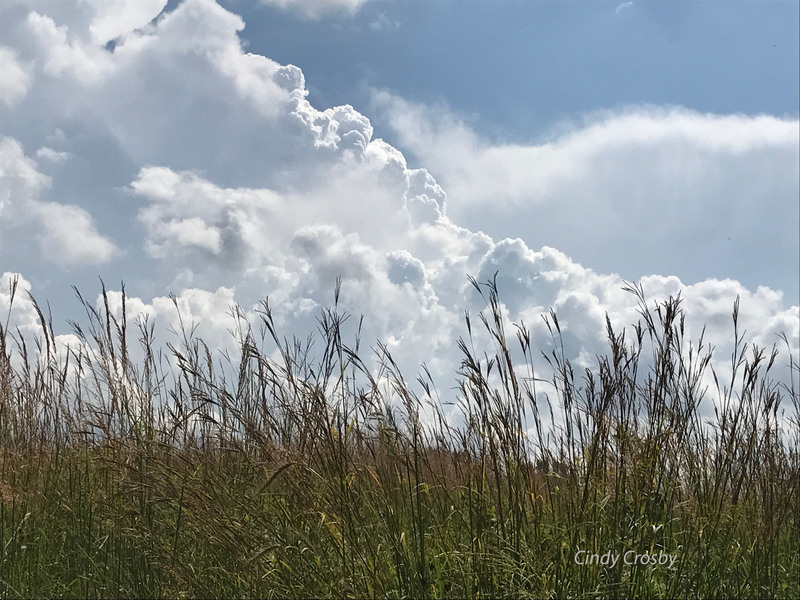 I’m flipping the blog this week: instead of bringing the field experiences to the community, I’m aiming to bring the community to the field! Since finishing my undergrad, I’ve moved into the environmental not-for-profit world, working at the Oak Ridges Moraine Land Trust as a ‘BioBlitz Coordinator’. My job involves planning events which teach the public about species found in their area, while giving them an opportunity to interact with local flora and fauna in the field. 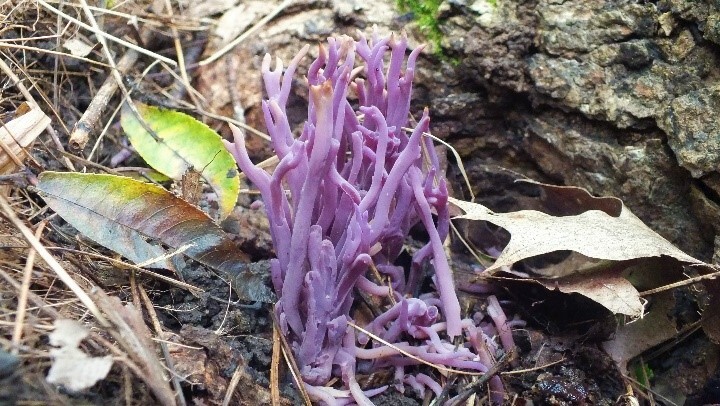 The aptly-named violet coral fungus. I love BioBlitzes! They’re a great way to get outdoors, explore nature, and learn about the species found in different habitats. 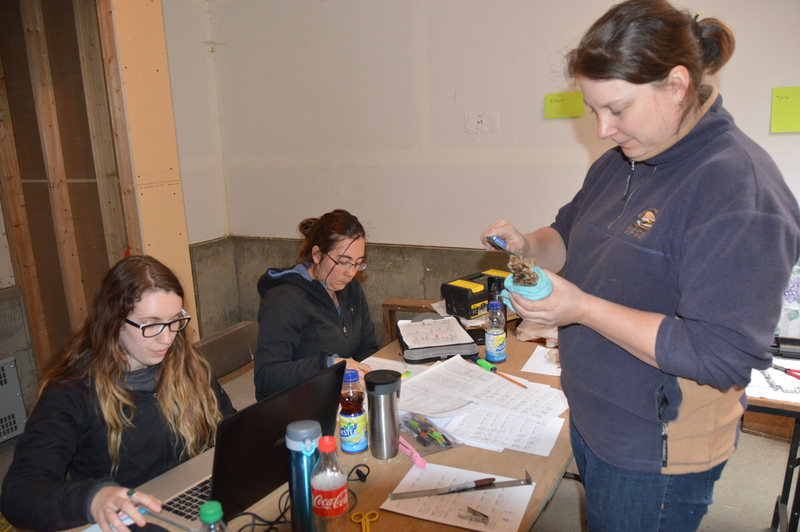 Here’s what happens: over a 24 hour period, taxonomic experts and volunteers work in small groups to complete a full biological inventory of a property, identifying all the birds, trees, insects… you get the drift. BioBlitzes have taken Ontario and Canada by storm, with dozens of them taking place across the country last year for Canada’s 150th. 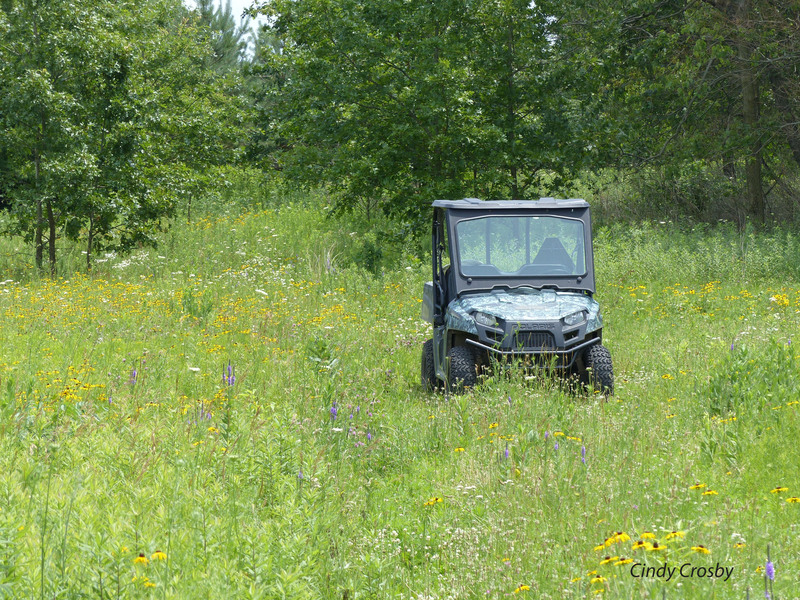 The Oak Ridges Moraine Land Trust hosted three BioBlitzes last year, and identified over 700 species in total! It’s a great way for volunteers to contribute to the knowledge that organizations need to direct management activities – and it’s also extremely fun! 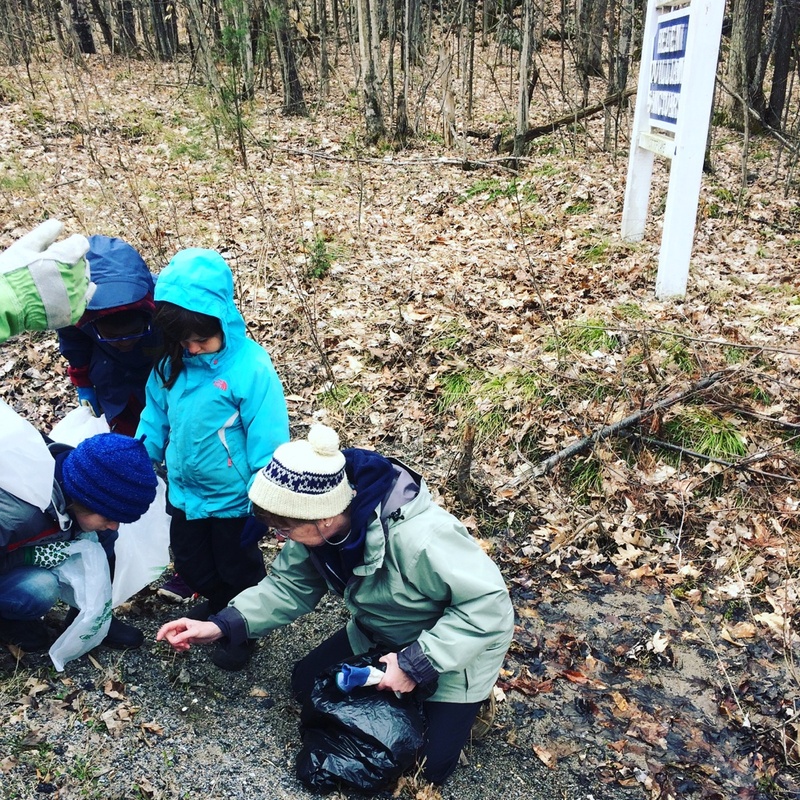 From exploring the leaf litter to find a violet coral fungus, to trying to spot an Eastern Wood-pewee calling in the forest, or sneaking up on a butterfly or dragonfly to catch and identify it, there’s something for everyone. 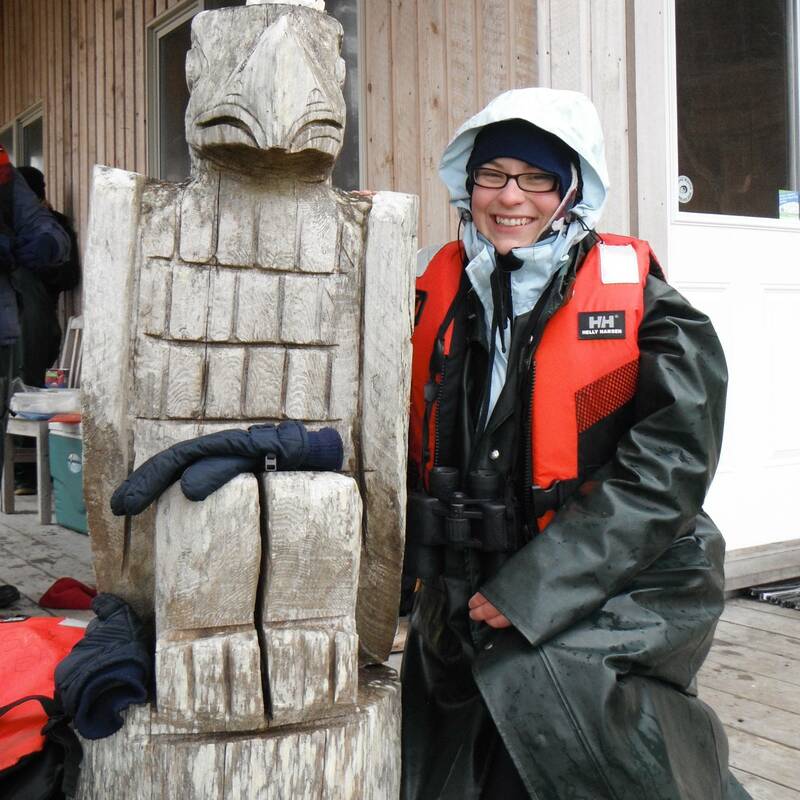 With an estimated 140,000 species in Canada, only half of which have been identified, there are always new species to learn about and discover. Which will you find at a BioBlitz? 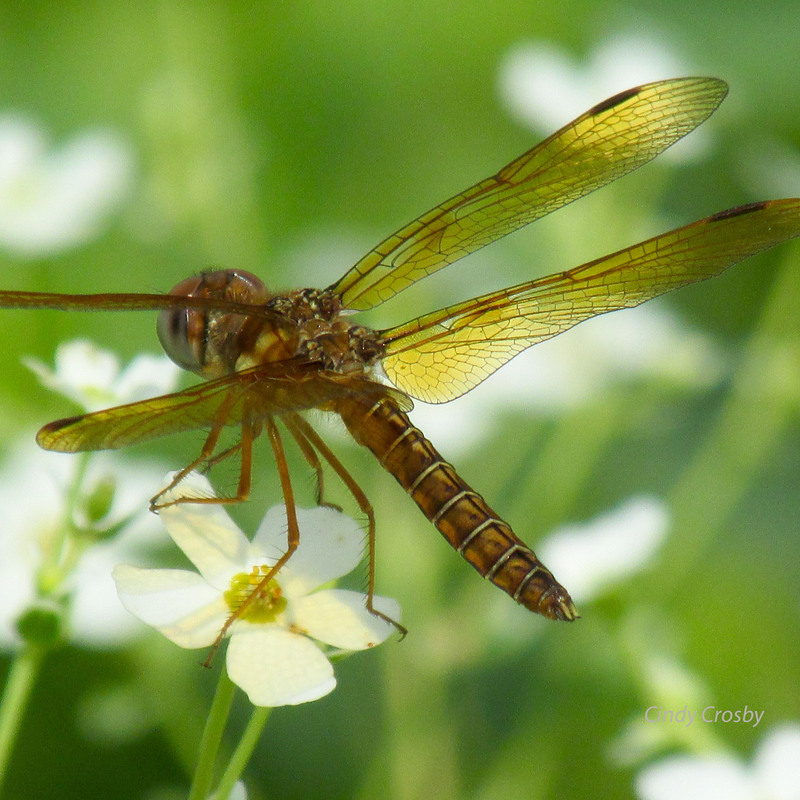 Although BioBlitzes are relatively new, having started in the late 1990s in the United States, ‘citizen science’ initiatives have been around for over 100 years. Simply put, they are ways for the general population to contribute data to scientific projects, and often require little more than a smartphone by way of equipment. There are many initiatives available for you to get involved in, whether you want to attend an event locally, or contribute data to provincial, national, or global projects. 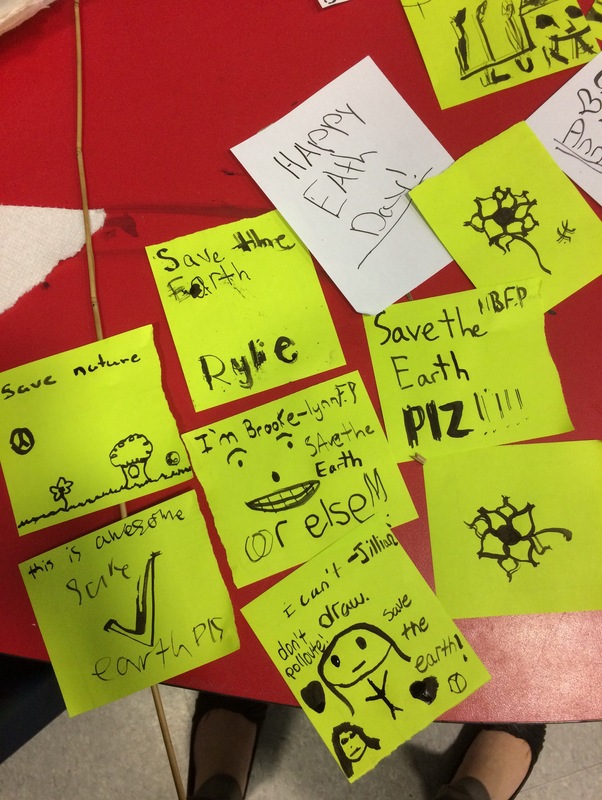 Below are just some of the many other ways to get involved in citizen science. 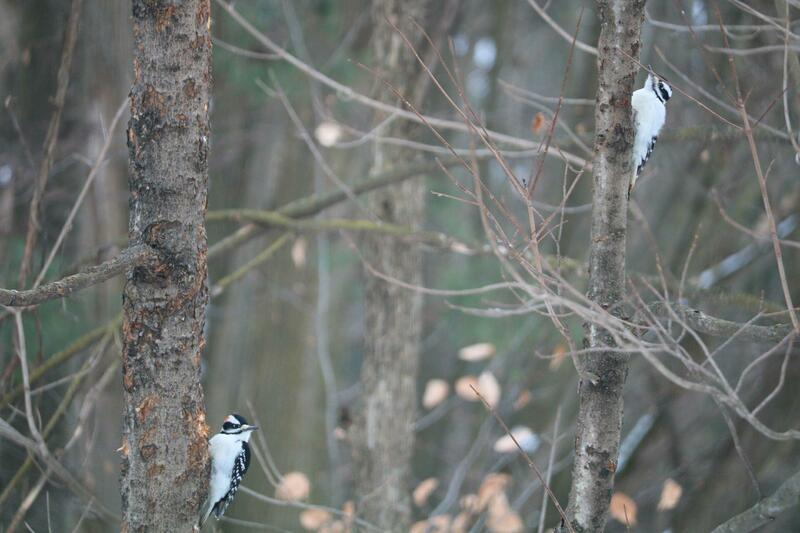 A male and female downy woodpecker spending a cold winter morning together. Last December, I participated in my first (and second) CBC. 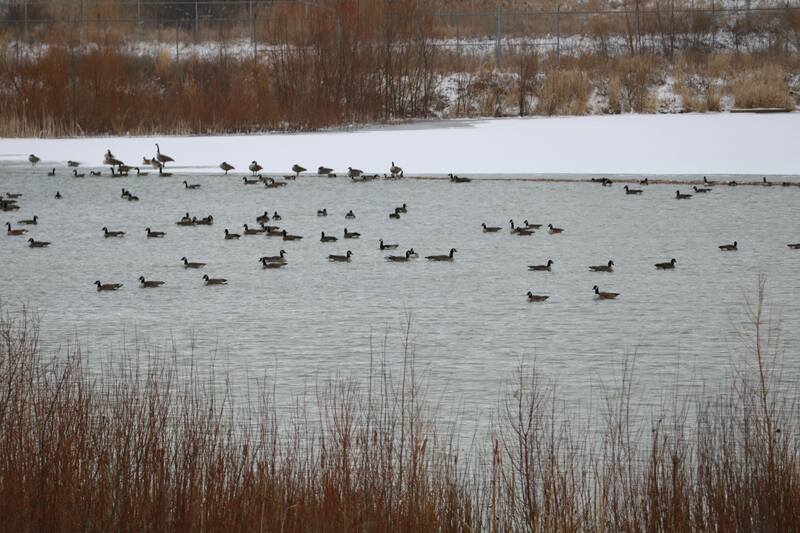 This annual bird census is administered by the National Audubon Society and has been around for over 100 years. For several chilly hours we hiked through conservation areas and drove through the countryside, counting every single bird we saw or heard in a pre-set 24km diameter circle. I was paired with birders who were far more experienced in identification than me. They took me under their wing and taught me tricks for remembering ID features. Once I was more confident in my skills, they encouraged me to try them out, confirming the correct IDs. 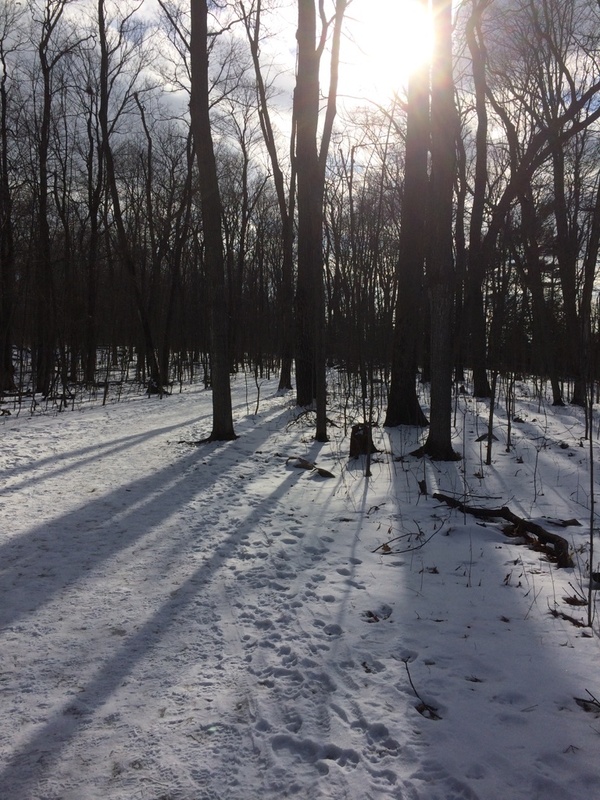 It’s amazing to think that the species I saw on one winter day – as well as the species I should have seen but didn’t – could contribute to peer-reviewed scientific articles. I can’t wait to participate again next season. I love getting out into the field and learning about what’s out there. During my undergraduate research project, in addition to measuring plants, I met a grey rat snake, lots of snapping and painted turtles, spiders, birds, and more. That summer, I snapped endless pictures of critters I either found fascinating or hadn’t encountered before. I was taking pictures because I loved doing it. But now, with smartphone apps like iNaturalist, anyone can take pictures and contribute directly to research, right from their phone! The primary goal of this app is to connect people to nature, and I find it great for those moments when you think: “Look at the cool thing I found… what is it?”. 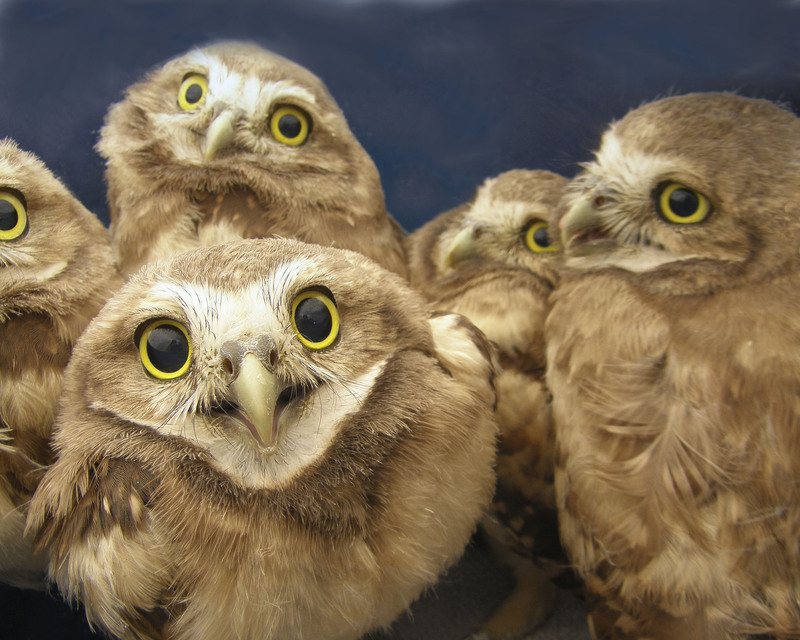 Users can post pictures of the species they see, and other users will add their identification to the picture. So there’s no need to worry: you don’t need to know what you’re taking a photo of. I sure didn’t know what mating adult caddisflies looked like until last summer! 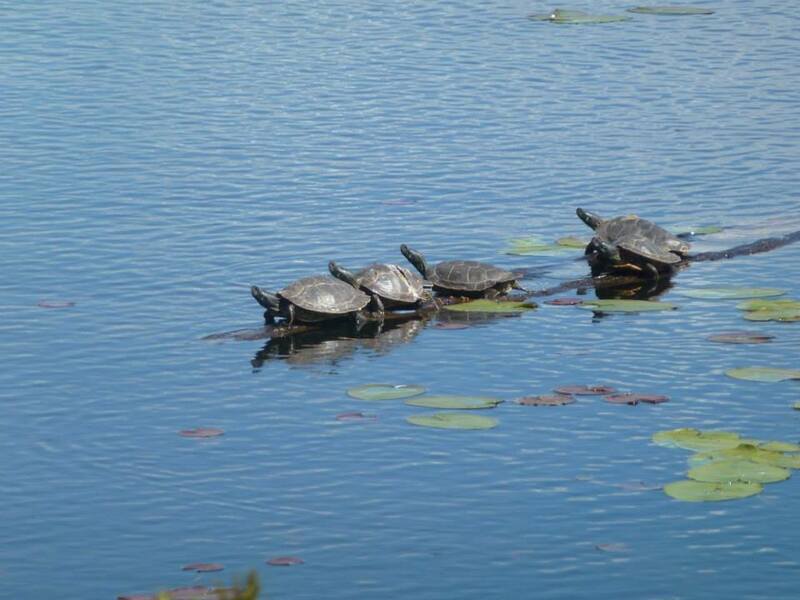 Northern map turtles basking in the summer sunshine. Turtles, frogs, snakes, salamanders and a skink: we have several species of reptiles and amphibians in Ontario, and many are at risk. But the full distribution of some species is unknown. This is not because their habitat doesn’t exist, or there aren’t individuals present, but simply because no one has reported seeing that species in that location. To address this issues, Ontario Nature developed a very useful app – the Ontario Reptile and Amphibian Atlas (ORAA)– that allows you to report sightings of these species across the province. If you find individuals, reporting them to the ORAA can provide crucial information to help scientists accurately map the distribution of species. I’ve picked up a new hobby since participating in the CBC: birding. As of last summer, I could identify about 20 different birds. Over the winter I became confident about a few dozen more. By the end of the year, I’m hoping that number breaks 3 digits. I’ve recently started logging my sightings into eBird, which allows you to submit ‘checklists’ of birds you’ve identified. Whether you went out birding for 4 hours, or watched your feeder for a few minutes, you can report species that you saw on eBird, adding to population and distribution records. You can even submit reports from a ‘wild goose chase’ – that is, trying to spot a rare bird that is only around by accident, such as a Barnacle Goose. Although the species is native to Greenland and Europe, I saw the directionally confused individual in the photo below an hour north of Toronto in Schomberg. If you want, you can even make it competitive, by adding to your personal life list. It’s like real-life Pokemon – gotta find them all! I really hope you can join me this summer at a BioBlitz, on a wild goose chase, or digitally on iNaturalist, ORAA, or eBird! 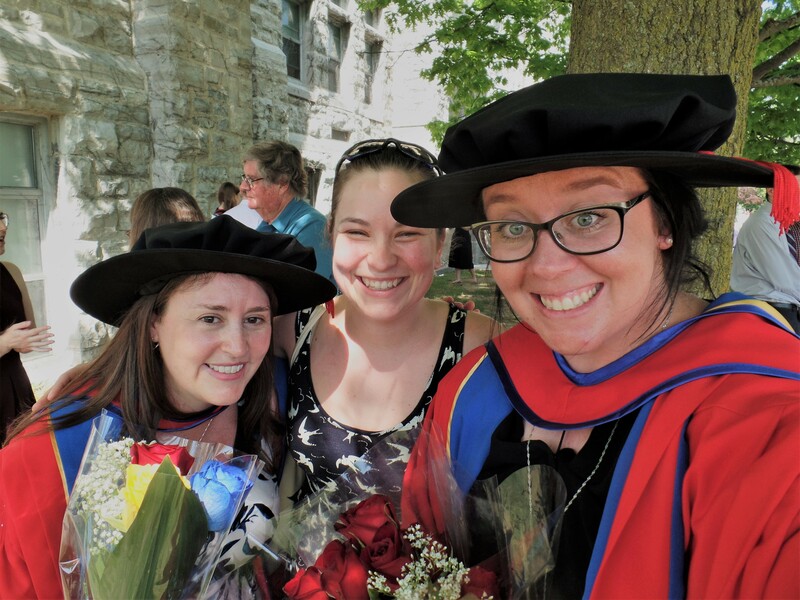 Kim Stephens is a graduate of Fleming College, and Queen’s University, where she researched the relationship between the different metrics of plant body size. 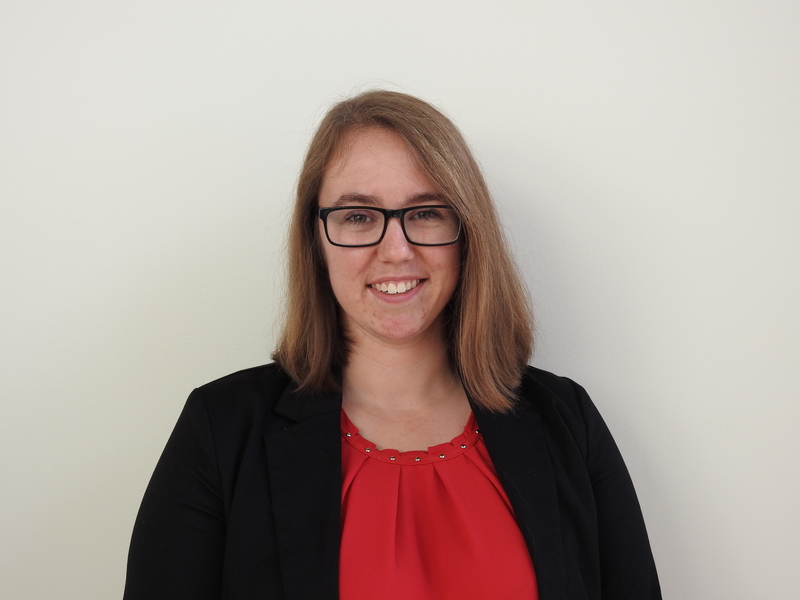 She is now working for the Oak Ridges Moraine Land Trust, getting people outside to explore and learn about nature. When not in the office or at a BioBlitz, she enjoys directing Quidditch tournaments and trying to photograph every species of butterfly she can find. Follow her on Twitter at @kastep15.